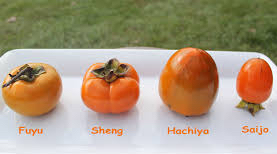 Persimmons come in astringent or non-astringent varieties. Poems by Frances Payne Adler, Margo Berdeshevsky, Lakshmi Gill, Shareen Knight, Lesley Lababidi, Gila Landman, Anita Lerek, Althea Romeo-Mark. Juanita Kirton, Grace Mattern, Niomi Phillips, Norma S. Tucker. Introduction by Jean Zorn.